Over the weekend leading up to Hurricane Sandy’s arrival here on Long Island, I did what most homeowners were doing. I put away outdoor items, taped up windows, gassed up the cars, and took inventory of flashlights and batteries. As for my son, Mikey, he took no notice of any heightened importance…it was just another couple of days to him. I couldn’t help but think of the saying: “Ignorance is bliss.” I’m not sure how true that is, but, in a way, I’m glad Mikey wasn’t as worried and nervous as his mother and I. And, thankfully, as Sandy hit us with her worst, Mikey slept through the night. It was only in the aftermath of the storm that he would realize things weren’t as he knew them (and wanted them) to be. We lost our power and heat early Monday afternoon as the hurricane was arriving. We were very lucky not to suffer any damage or flooding from the storm (I wish I could say the same for some of my neighbors). But the house wouldn’t feel warm and the lights wouldn’t shine again until Friday night. Unfortunately, with the changing weather patterns, Hurricane Sandy is the second hurricane to come through Long Island in two years. Hurricane Irene hit us last year and also knocked out our power out for a few days. 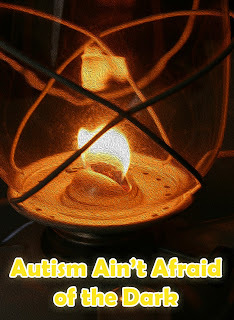 It was then that I realized autism doesn't disappear just because the lights go out. Your house may lose power, but autism doesn't. This time around was no different. When most of us have to deal with something like a power outage it disrupts our routines, but that is even more amplified for a child with autism. Add to that no school or home services and very limited places to go outdoors and you have the makings of a stressful and potentially dangerous situation. The first night without power or heat wasn’t a big deal for Mikey. It wasn’t cold out yet, he had a fully charged tablet, and he stayed close by to us (I believe sensing our trepidation). The next morning, after the storm passed and the blue skies greeted us with relief, I spent some time checking for any damage to our house and Mikey was able to lead a pretty normal day. Hearing over the radio of the devastation to most of the Island and the surrounding areas tore at my heart and also made me realize it was going to be a while before we got our power restored. The first post-Sandy days consisted of daylight hours of trying to keep Mikey entertained without being able to take him out in the car (the roads being treacherous from downed trees and wires and powerless traffic lights), and night hours of trying to keep him warm and safe. I felt my chest tighten with stress each evening as the sun went down and the dangers of candles clashed with the potential hazards of falling over objects in darkened rooms. Overall, thankfully, Mikey got through the week pretty well. His behaviors were definitely increased and he had a few meltdowns, but, quite honestly, after a few days of no power and heat I had a couple meltdowns myself. When requests for ice pops went unfulfilled and batteries finally died for the night, Mikey’s stress levels would go up. His efforts to communicate lessened and with no structured setting like in his classroom there was definitely more stimming and echolalia. We did our best to provide Mikey with as normal an environment as we could and were there to comfort him when normal wasn’t possible. 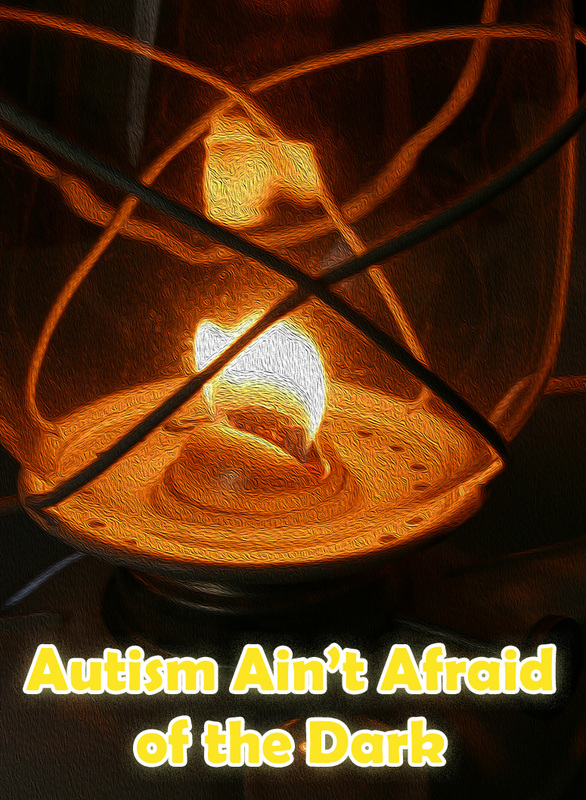 That is all we can do as parents, because while autism may not be afraid of the dark…neither is love.